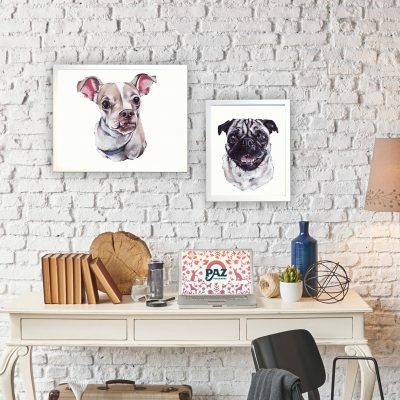 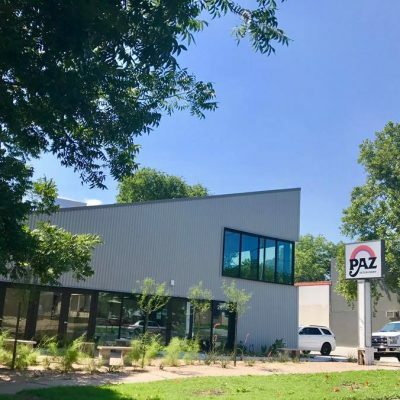 As Corner Vet expanded in Austin, a dark cloud named Corner Vet in Houston also grew – as another business, with another owner and another way of providing care. 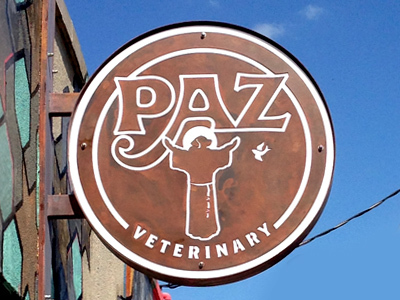 In order to remain true to our ethos, we decided to re-name and evolve from Corner Vet to not be associated with the other Texas clinics. 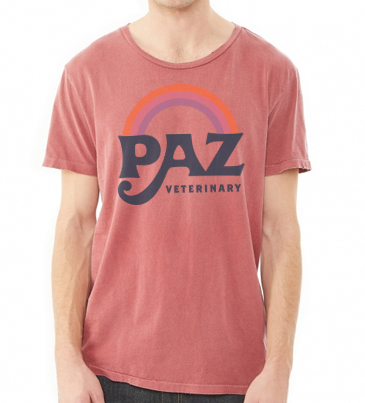 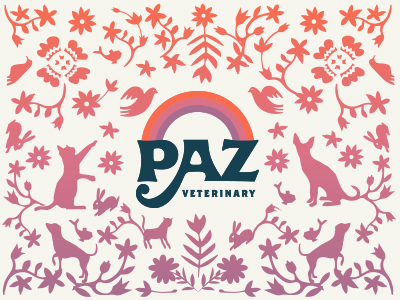 As concepts developed, Paz (meaning ‘peace’) became a much better fit for this practice. 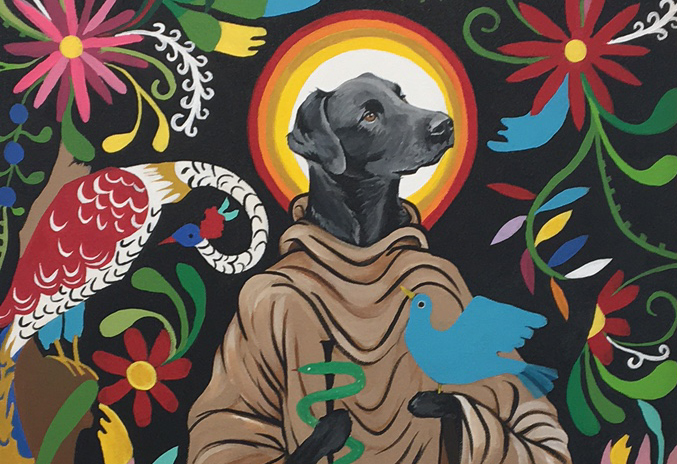 Since emanating peaceful vibes is what this practice aims to share with both animal and human clientele, we adopted St. Francis as our patron Saint and symbol and coined ‘Peace to All’ as our new tagline. 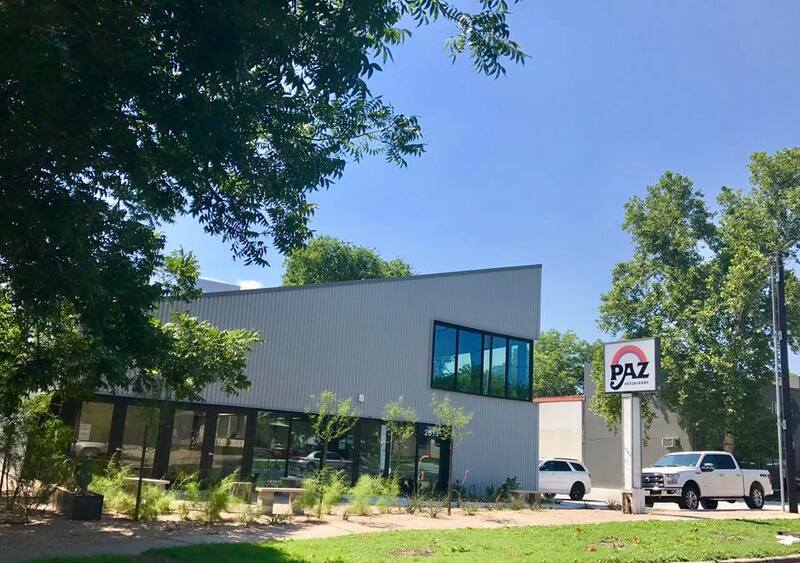 Look for the new Paz signs on Cesar Chavez and South 1st in Austin, and take a moment to check out the incredible interiors as well. 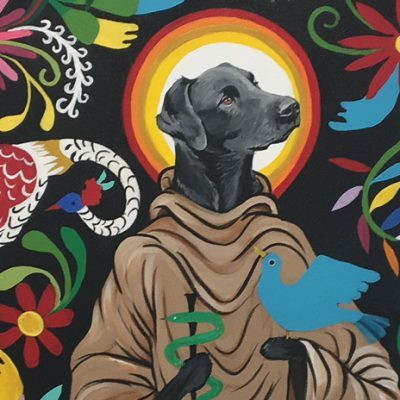 There is a beautiful painting by Mississippi artist Ginger Williams-Cook in the new S. 1st lobby, and there are are fine art prints throughout the building.